Periodicals: British & Irish Botany; BSBI News; eNews; and more..
We also publish three country bulletins. Scroll down to find out more about how you can access all these periodicals. 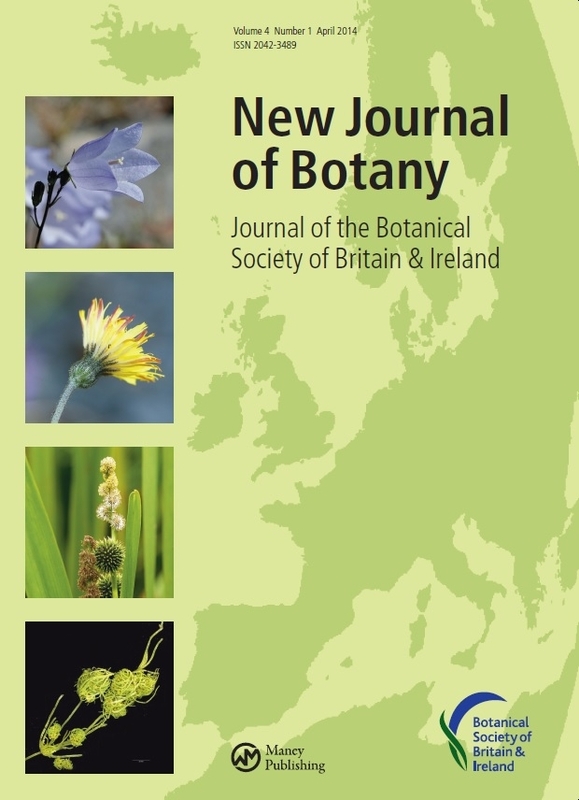 British & Irish Botany is BSBI's new open access scientific journal, which replaces New Journal of Botany. 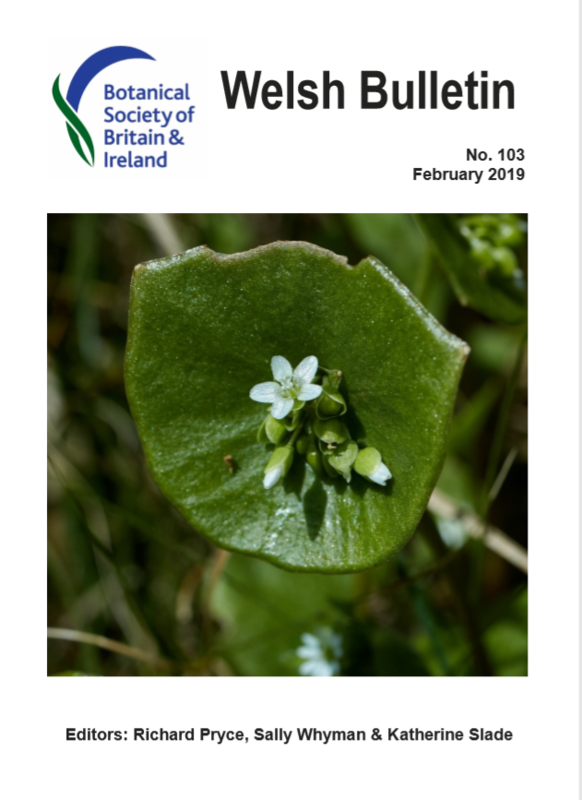 The first issue was published in February 2019 and is available and free to everyone, whether or not you are a BSBI member. This blogpost tells you more about the journal. Visit the British & Irish Botany website to register as a reader or author, to view the latest issue or to submit a paper. Once you've registered (very quick and easy! ), you can either use the very simple and straightforward online submission system or send your manuscript to the Editorial Office and we'll do it all for you. We encourage all British and Irish botanists to consider publishing with us: contact Editor-in-Chief Dr Ian Denholm to discuss your proposal. BSBI's much-loved membership newsletter BSBI News is published three times a year, in January, April and September, and print copies are mailed out to all our members. An electronic version is also available via our password-protected members-only area. The Editor is Andrew Branson, a long-term BSBI member who is also the former editor of the very popular and prestigious British Wildlife. Read about the latest issue of BSBI News here and then head over here to join BSBI and start receiving issues on a regular basis. If you'd like to submit an article, or if you'd like to advertise in BSBI News, head over to our BSBI News page. Our monthly BSBI eNews is available to everyone, whether or not you are a BSBI member, either by using this link to subscribe, or else you can download it here. It is aimed at active botanical recorders, with resources and links to help you record wild flowers and contribute to BSBI research projects such as Atlas 2020. It also includes the latest news about BSBI conferences and other events, tells you what's new on the BSBI website and the News & Views blog, and alerts you to opportunities and topical tips for botanical recorders. 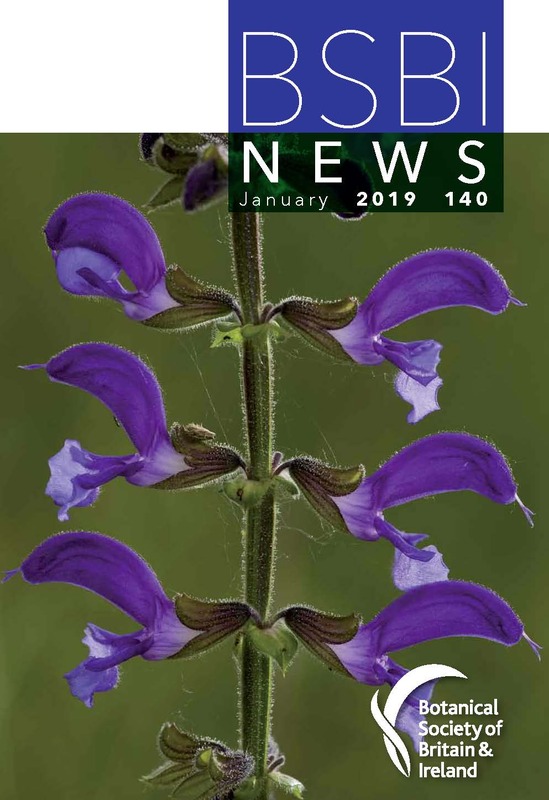 Current and back issues of Irish Botanical News, edited by Paul Green, can be downloaded from the Irish Botanical News webpage. This periodical, published by the Committee for Ireland, has been published annually since 1991. The Scottish Newsletter, edited by Angus Hannah, can be downloaded from the Scotland page where you will also find back issues dating back to 1979. Recent issues of the Welsh Bulletin, edited by Richard Pryce, Sally Whyman & Katherine Slade, can be downloaded from the Wales page. Back issues are housed in the Welsh Bulletin archive, so you can download every issue from 1964 onwards. BSBI would like to express its sincere thanks to these five editors who carry out their editorial duties in an entirely voluntary capacity. We are very grateful for their hard work over time and commend them on their excellent periodicals. Take a look and see if you agree! The BSBI Yearbook is available only to members of the society. It includes reports of field meetings, obituaries of notable British & Irish botanists and full contact details for all BSBI's County Recorders and our network of 100+ expert plant Referees. We also have archives from our former publications New Journal of Botany (NJB) and its predecessor, Watsonia. NJB was published from 2011 to 2017; papers are still available but only to BSBI members - sorry! Find out more here. Check out our Publications Archive for back copies of Watsonia 1949-2010; Proceedings of the Botanical Society of the British Isles 1954-1969; BSBI Conference Reports 1950-2012; Botanical Exchange Club reports 1867-1946; and the original Journal of Botany 1834-1940. You can also find back copies of the old style BSBI News 1972-2014 but for the new look BSBI News you'll have to join the society. The Society is grateful to all the authors, editors and reviewers who have contributed to Watsonia, New Journal of Botany and all our other periodicals since our inception in 1836.